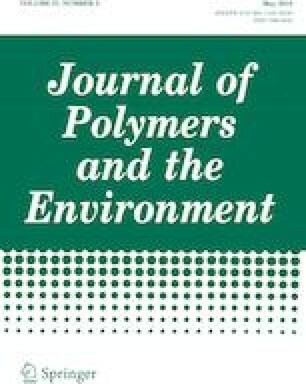 In this study, a novel polyurethane foam (PU) nanocomposite adsorbent based on silane-modified magnetic iron-oxide nanoparticles (Fe3O4@APTES) is synthesized via a low cost and simple in situ polymerization method for the removal of arsenic ions from aqueous solutions. The chemical structure and surface morphology of the prepared nanoparticles and adsorbent were characterized using Fourier transform infrared spectroscopy, attenuated total reflection, scanning electron microscopy, transmission electron microscopy, and energy-dispersive X-ray spectroscopy. Inductively coupled plasma mass spectrometry was used to measure the arsenic concentration of the treated solutions. Sorption isotherms models were applied to determine the adsorption mechanism and modeling parameters. The removal capacity of the modified PU foam was at its highest during a contact time of four hours which resulted in a removal capacity of 95%. Kinetic studies were conducted to determine the adsorption capacity and the uptake rate of arsenic. A Pseudo-order model was found to be the best fit model for adsorption. The prepared adsorbent can be separated from the solution by using an external magnet field. The authors would like to thank Dr. Steven Hardcastle at UWM’s Advanced Analysis Facility and Dr. Ana Benko at UWM’s Shimadzu Lab Facility for their support and insights during the characterization and performance analysis of the foam samples.